The standard manufacture warranty on a walk-in tub is one or two years for residential use. However, certain items like pumps, door seals or the tub structure may be extended past this period. Over the past number of years to justify higher pricing and remain competitive some companies are pushing Limited Lifetime Warranties …. (What is a Limited Lifetime Warranty? …click to read more). Read more..
Tile is a friendlier choice for the environment and has been used for thousands of years for good reason! Thousands of people young and old visit public rec centres on a daily basis. Tile is used throughout these buildings including the public showers. Why? We all know tile can be manufactured to be as slippery as ice when it’s wet, but it can also be made specifically for safety, totally non-skid and very durable for use in showers and wet conditions. Covering up existing tile with thin glued on gel coat or acrylic sheets offered by one day bathroom renovation wonder companies is not a good plan. 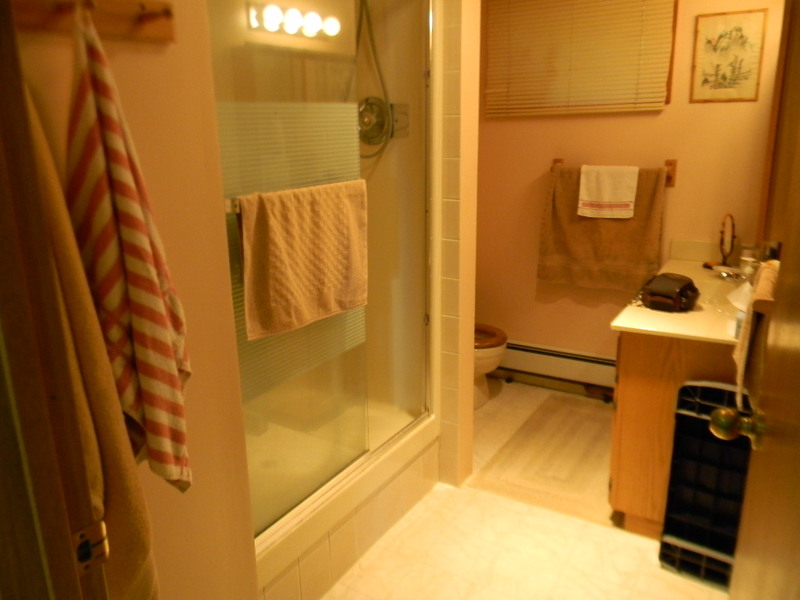 It will only cheapen and devalue your bathroom and may cover up an otherwise very simple repair. It will also make future removal of the existing tile very difficult and time consuming. Cutting out tile and existing wall board is very fast when cutting along the grout lines with a Sawzall removing the tile and gypsum in large pieces. But when the tile is covered up with plastic these grout lines can’t be seen. Since the saw blade can’t cut through tile, the plastic sheet has to be pulled off first. The strong adhesive used to attach the paneling makes it extremely difficult and time consuming to do this. Doing a proper job by removing the existing tile and gypsum and replacing it with a new surface of choice is not complicated nor will it take much longer or cost more to complete. The walls when stripped down to the framing gives the installers the opportunity for inspection, add additional framing for safety grips and folding shower seats. You’ll have the option to install new modern thermostatic, anti-scald pressure balanced faucets and inspect the plumbing. New mold proof shower backer board products are available to replace outdated products….read more. Whether you decide on tile or go with a plastic shower surround don’t allow a company to cut corners. When we renovate bathrooms and remove an existing tub and replace it with a walk-in tub or shower the vast majority of the demolitions involve the removal of tiled tub surrounds. Even after decades of use the tile is in good condition and in many cases except for the style being dated it looks like new. We can’t say the same for many of the plastic showers we’ve removed, even though they haven’t been in use for near as long. The majority of accessible plastic showers sold are constructed of gel coat fiberglass. After several years of regular use the gel coat can dull, begin to show signs of wear and because of the porous nature of gel coat, stains will start to show that are very difficult, or can’t be removed. Unless you’ve been a fiberglass boat owner most people are unaware and are not properly informed by retailers on the maintenance schedule or specialty waxes and cleaning products required to maintain a gel coat finish found on accessible showers or safety tubs…read more. A really attractive professionally installed built in tiled shower offers far more value, it’s stronger, has safer footing and it will last many times longer, all the while retaining its beauty. It’s so much easier to clean than plastic because it’s not sensitive to cleaning products or prone to chemical reactions.. It is for these reasons, and more, why tiled showers are always used for commercial high use applications, never plastic! There is more plastic showers sold by companies installing accessible showers because quite simply there far more profitable. A plastic shower takes far less time and skill level to install and requires less material costs and site preparation. This is their main selling feature, but you won’t likely see it reflected in the installed price with them costing thousands of dollars more than there really worth. Depending on the company price can range from $7,000.00 by one day glue on wonder companies up to over $12,000.00 or more for a complete tear out and an additional day’s labor. The time and cost to construct a well-built, beautiful custom tiled shower will vary. Often people will use this time to change the flooring, replace the vanity, mirrors, lighting, and install a new comfort toilet completing the transformation. This work can take up to five days to complete, and the investment will be somewhere between the above two figures. 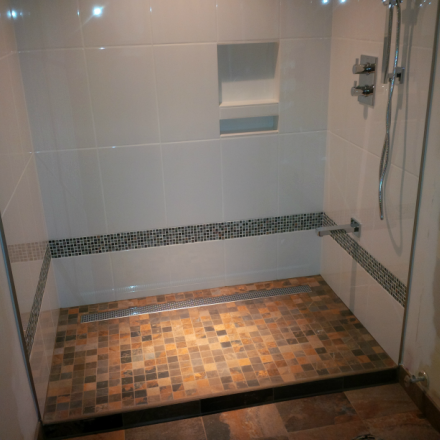 Built-in tiled accessible showers are unquestionably a better value, however there not sold through large corporations or distributors and commission sales people, there built by local skilled trade persons who enjoy the work and take pride in creating them. Read more on our tiled showers. This question is asked occasionally but rarely is it asked by someone who really needs a walk-in tub! Why? Most of us wouldn’t wake up one morning, see an advertisement for a walk-in tub and go out and buy one, but it might get you thinking about it! Have you ever taken a slight slip in the tub or tripped on a stair and kept yourself from falling and possibly being injured? Young or old we’ve all experienced this, but the older we get the risk of injury greatly increases because of slowing reflexes and weakening stabilization muscles. Maybe a slight mishap happens during one’s daily bathing routine or the news of friend falling and being injured starts one to thinking about a safer bathing alternative as well as other changes that may be needed. Hopefully these early warning signs won’t be ignored and measures will be taken towards preventing avoidable unnecessary accidents that could permanently change a person’s lifestyle. 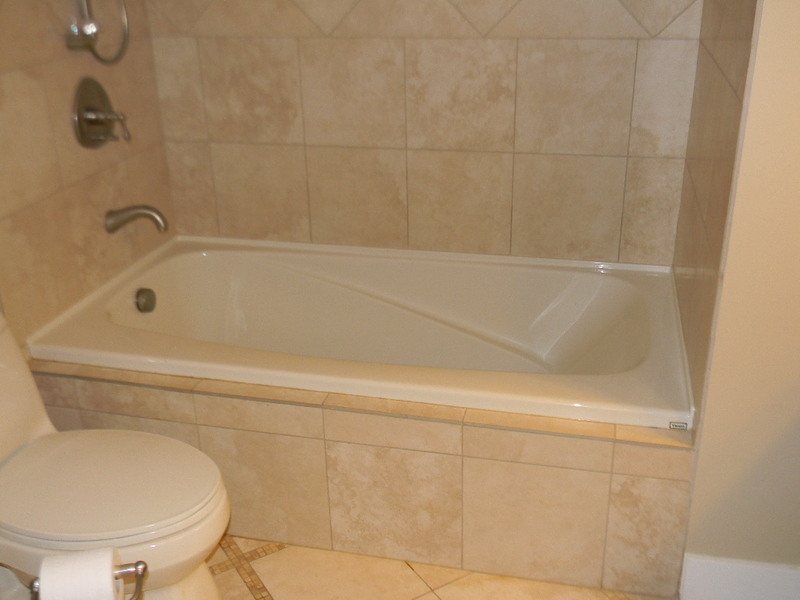 Walk-in tubs help people stay safe and offer them a higher level of independence and comfort. The question on whether a walk-in tub will affect the re-sale of a person’s home is largely a matter of opinion. 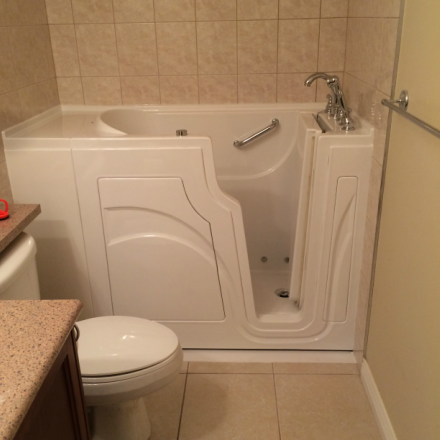 It could be argued that because there is a growing aging population a walk-in tub could be seen to be a selling advantage but it very unlikely it would affect the value one’s property. In Vancouver and the surrounding areas home prices are very high and continue to climb as they are in many places throughout the province and country. If you were to look at your last tax assessment you’ll see the assessed value of the land in relation to the assessed value of the buildings are probably separated by a very wide margin. 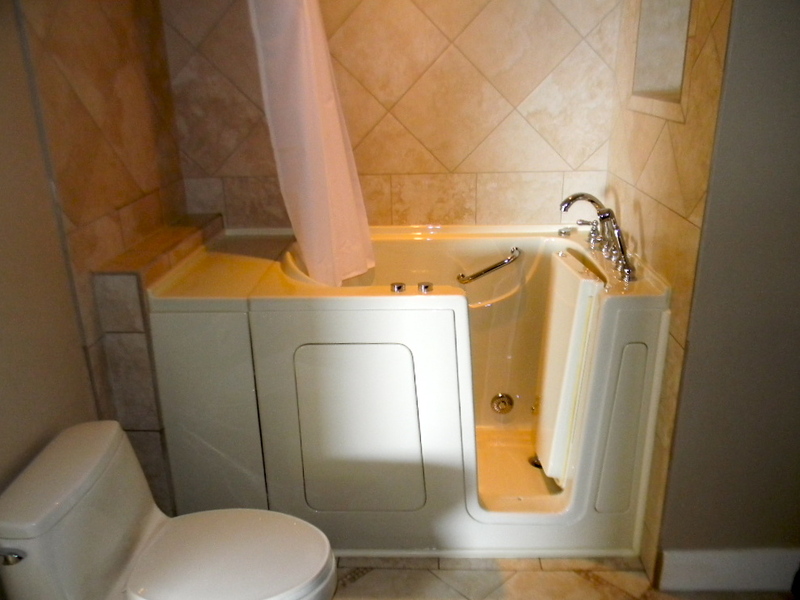 It’s doubtful a walk-in tub would make any measurable difference. It’s your home, the one you want to remain safe in for as long as possible, and ultimately it’s your decision!